Fraser Valley/Victoria – The Experience the Fraser trail system has been expanded and enhanced throughout the Chilliwack and Mission areas, giving five people valuable work experience that will benefit residents and visitors for years to come. Over the last six months, workers have made a number of improvements to trails and amenities in the Fraser Valley region as a result of $320,000 in provincial funding through the Community and Employer Partnership program. 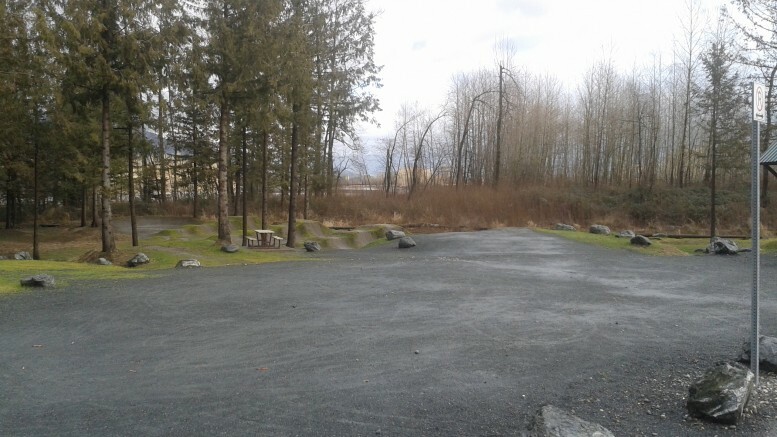 In Chilliwack, the dog off-leash area was redesigned and rebuilt at Island 22 Regional Park. New features include new fencing, as well as a new area for small dogs. Beside the dog park, a new day-use area along the river was also built, including picnic tables and garbage cans. Eight kilometres of the dyke from Jesperson Road to the Agassiz-Rosedale Bridge were resurfaced for ease of accessibility and three gates were installed to give walkers, cyclists and horseback riders peaceful use of the Experience the Fraser trail. Workers in Hillkeep Regional Park built a new trail to the newly-built viewing platform giving hikers a spectacular view of the Fraser Valley. In Popkum, 79 new cedar stairs were built on a steep section of the Popkum Community Trail to improve walkers’ experiences over the mountain to the viewing platform overlooking Cheam Lake Wetlands. In Mission, the workers have built a new bridge and boardwalk over Draper Creek in Neilson Regional Park to provide better access to the rest of the park. In the Mission Tree Farm Licence, the Canyon to Coast Trail portion of the Experience the Fraser system was started. A nine-metre (30-foot) bridge was built to span a creek, a small footbridge constructed, and new trail built to begin to link the British Columbia Institute of Technology (BCIT) woodlot to Rolley Lake Provincial Park and then onward to the BC Hydro Stave Falls Visitor Centre. Project participants have gained skills in landscaping, carpentry, painting and chainsaw use. They also have received First Aid certification. To date, more than 900 job seekers have benefited from work experience and 195 projects have been funded throughout the province. Be the first to comment on "Experience The Fraser Trails System Creating Jobs In Chilliwack And Mission"